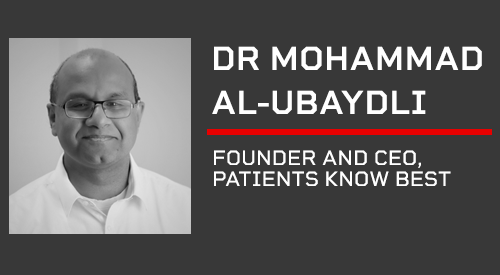 Our next Rewired speaker profile is Mohammad Al-Ubaydli who is the founder & CEO of personal health records pioneer Patients Know Best. At Rewired he will outline the financial and clinical case for digital channel shift at scale. We asked Mo why he believes Rewired is the must-attend event of 2019. It’s this year’s top event for digital health in the U.K. We are looking forward to meeting and working with people to bring technology to patient care at scale. We all know that NHS services are stretched so we have to think differently about how care is delivered. To alleviate these issues, the healthcare system is increasingly turning to disruptive technologies and patient portals is just that. PKB has rolled out more patient portals to more NHS organisations and patients than anyone else in the U.K. I’m looking forward to speaking at the event to share the data for how this delivers higher quality care at lower costs, and ultimately happier patients. Rewired means learning with the best from national networks to support local roll-outs. It’s about making things happen right now.